Just a few simple steps and you'll have delicious roasted almond butter! 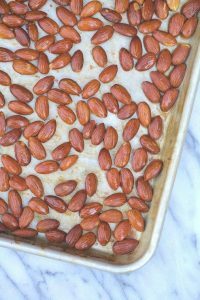 Spread almonds on a baking sheet in a single layer. Bake for 20 minutes. 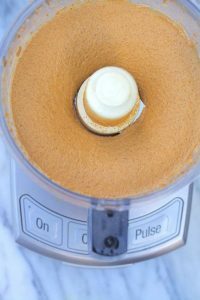 Add baked almonds, coconut oil, vanilla extract, and salt to a food processor and process until very smooth, about 2 or 3 minutes.